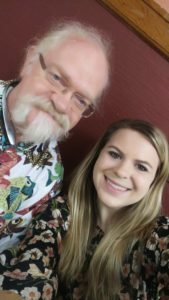 Priority One has a long standing relationship with NUNM and continues to support the efforts of the naturopathic students seeking an education as a naturopathic physician. This school was founded in 1956 and is the oldest North American program accredited by the Council of Naturopathic Medical Education. 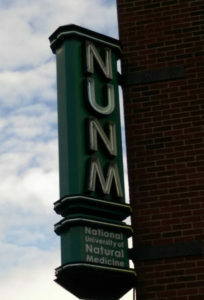 NUNM is one of 7 accredited naturopathic schools which meet both federal and academic standards. For over 50 years they have been offering ground-breaking naturopathic medical education. NUNM is located in the #pacificnorthwest city of Portland, OR just a hop, skip and jump away from our headquarters in WA. Priority One has sponsored many events and continues to be a silver sponsor of NUNM, continuing our support to advance NUNM for future generations. For decades #NiftyDude George Bynum represented Priority One on campus and was privileged to meet and work with many of you. He truly is honored to be apart of the naturopathic community. We are proud to have him represent us for over 25 years. NUNM offers 8 community outreach clinics this truly shows how much they care for the community of Portland, and the dedication of students that choose NUNM. Look for Priority One’s tree on campus sponsered in 2006 and growing nicely. We look forward to watching it mature on campus while it provides a natural green area. Priority One has had a student representative on campus for many years. Our current representative for the 2016-2017 calendar year is Emma Petshow. 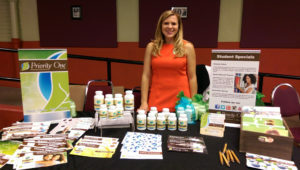 If you are a student look for Emma’s tabling events on campus to get your catalog, samples and student specials. You may also fill out the student form on our website to open an account. Are you interested in other checking out the other naturopathic colleges? AANMC can help.